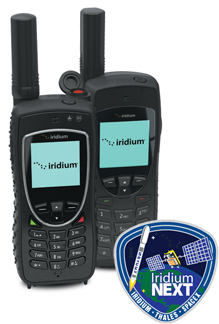 IRIDIUM provides the only satellite phone and data service with gap-free, pole-to-pole coverage over the entire globe. Iridium's constellation of 66 satellites provides critical voice and data services for regions not served by other communication networks. SATTRANS, a long-time Iridium reseller, offers the entire range of Iridium products and service plans, as well as post-sale support. Iridium's voice and data telecommunications services are delivered via compact Iridium Extreme, 9555 or GO! satellite terminals, Iridium Pilot, SBD and other devices, built to provide reliable service and withstand harsh environments.